Best feature: Quiet, unspoilt pistes and beautiful views. St. Jean d’Aulps is surrounded by the beautiful villages of Seytroux, Le Biot and Essert la Pierre, and the little resort town of La Grande Terche. These towns have a smaller English population than Morzine and Les Gets, and are renowned for being much quieter, with a classic French village feel and stunning views of the surrounding Vallée d’Aulps. St. Jean is in the centre of the action and is easily the liveliest of the four villages, and is closest to the ski area, La Grande Terche, which is just a short drive up the hill. La Grande Terche offers quiet pistes, amazing views and mellow skiing, making it perfect for families who want a quiet trip away, especially at the busy times around Christmas and February half term. The Domaine Roc d’Enfer links the resorts of La Grand Terche and Bellevaux-la-Chevrerie, which makes a nice little circuit and is included in the Portes du Soleil lift pass if you want to go a little further afield. Le Petit Coq: Amazing cakes, an eclectic range of meals and tapas and super-friendly service make this little hidden gem one of our favourites. Bar le National: Some of the best pizzas in Saint Jean d’Aulps – if not the whole area! Tuesdays are two for one – make sure you book a table because it’s busy every week, even in the off-season. Alba: A great location for dinner and drinks with a friendly atmosphere and a great open mic night. Bar l’Efanle: The place to be in La Grande Terche, l’Avalanche is the premiere après spot and locals’ hang out of the Domaine Roc d’Enfer. Jo and Mike are mega welcoming and they make some mean food, as well! Mountain Aspect: Based in the centre of St, Jean d’Aulps, Mountain Aspect is an independent rental and equipment shop that stocks the best local and international brands. Muffat Sport: Right at the bottom of the cable car in La Grande Terche, you can rent and store you gear and get great professional advice – plus, Muffat Sport is a branch of Skiset, so you know it won’t disappoint. 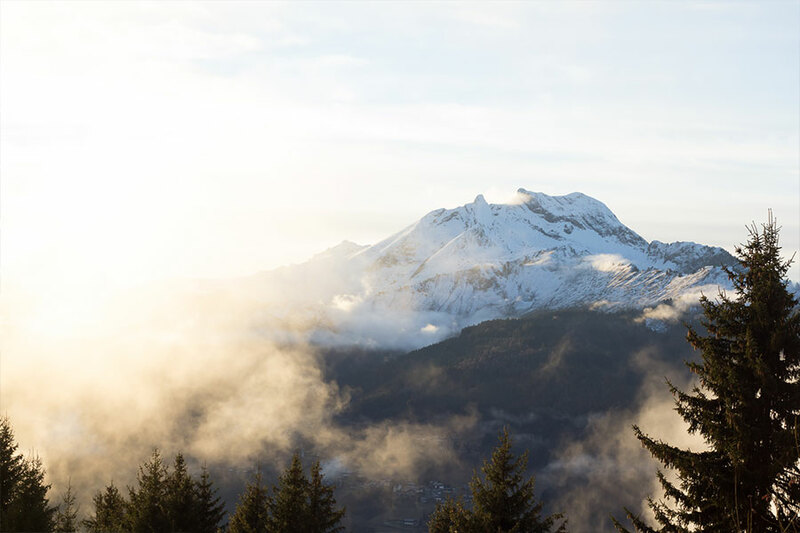 Ski Cosy: Run by our colleague, Cat, and her partner, Chris, the Ski Cosy chalet provides a carefully curated selection of homely self-catered chalets and apartments in Saint Jean d’Aulps and Morzine (not that we’re biased or anything!). Chalet Shufu: A luxury bed and breakfast style chalet in the centre of St. Jean d’Aulps. It offers amazing food with a little Chinese flare, flexibility and, of course, friendly service. Please feel free to get in touch with any questions or queries. Our office hours are 09:00 until 18:00 (CET) 7 days a week throughout the winter season and we can be contacted for emergencies 24 hours a day. © 2019 Getaway Vans. All Rights Reserved. Terms & Conditions.